We are a team of hard-working, talented professionals with over 30 years in modelling, talent management, PR and image control. In business since 2005, we pride ourselves on providing a fast, reliable service to clients, and a supportive and forward-thinking environment for our models. Our clients range from large international advertising agencies, lingerie brands and high street retailers, to world-famous sports labels, TV and film production companies, and PR agencies. Previous and current clients inclide Puma, Adidas, Lynx, Boots, EA Games, Ann Summers, Joop! fragrances, Damaris lingerie, Fosters, Ladbrokes and many more. Our models have worked with internationally renowned photographers including Rankin, Alice Hawkins and Perou, and have appeared in publications from Harper’s, i-D, Love, US Maxim and Sunday Times Style. We think Girl stands for quality. Quality clients, quality models, quality service. 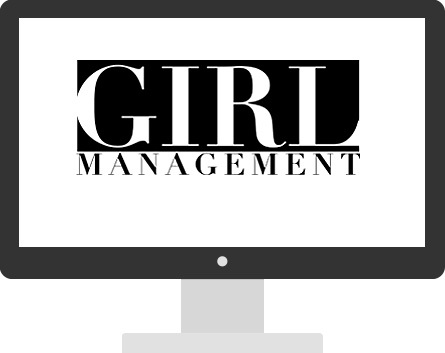 We are a fairly small, flexible management company that represents women in the media. We work flexibly with clients to fulfil their needs for models and personalities. Identify the key requirements of clients. Suggest a number of relevant individuals to fulfil client needs. Offer support to clients during the creation process. ▪ We will work with you to fully understand your requirements and your target audience to effectively select the right talent for your assignment. ▪ If you require, we can create your imagery for you. We have our own studio in London and a pool of the best creatives at our disposal. ▪ Correctly identifying brand ambassadors will help create a brand that stands out and truly reflects your business and the message you want to convey. ▪ We will aid the creation of a unique and visually pleasing campaign to reflect your overall brand to be used in all areas of your marketing.